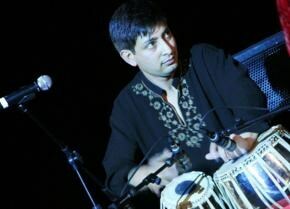 Basant Madhur is a widely acknowledged tabla player and a much-respected artiste in the arena of Indian Classical Music. On account of his versatility and pleasing disposition, he is the most sought & creative artist in the realm of Indian classical music in New Zealand and Australasia as a whole. Born into a family of musicians, he took early training from his elder brother Deepak Madhur and received expert guidance from Punjab Gharana tabla maestro, the late Pt. Pawan Kumar Verma. During his college period, he received numerous awards at state, zonal & national level youth festivals. At the same time, All India Radio & Television approved him as a performing artist at AIR & television in Shimla. 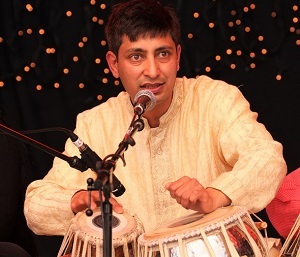 Madhur moved to New Zealand in 2002 and established the “Sargam School of Indian Music.” By 2006, he had trained more than 300 students- some of which at a very high level. In 2008 he received the Award of Appreciation for his contribution to the field of music by GOPIO (Global organization of People of Indian Origin New Zealand). Basant has had the honor of accompanying some of the stalwarts of Indian Classical Music such as Grammy winner Pt. Vishwa Mohan Bhatt in New Zealand and USA, Pt. Ronu Majumdar in New Zealand & Australia, Pt. Rakesh Chaurasia, saxophone genius Dr. Kadri Gopalnath and mridangam player Patri Satish Kumar to name a few. He has also collaborated with several western musicians such as John Ellis, Luke Hurley, Murray McNabb, Frank Gibson Jr., Jon sanders and Prosad Freeman in fusion music. Other then being a regular feature in many music festivals in New Zealand, Basant is known to perform in India, Australia and USA on other occasions.